For an elaborate WB I hope this smx fits. 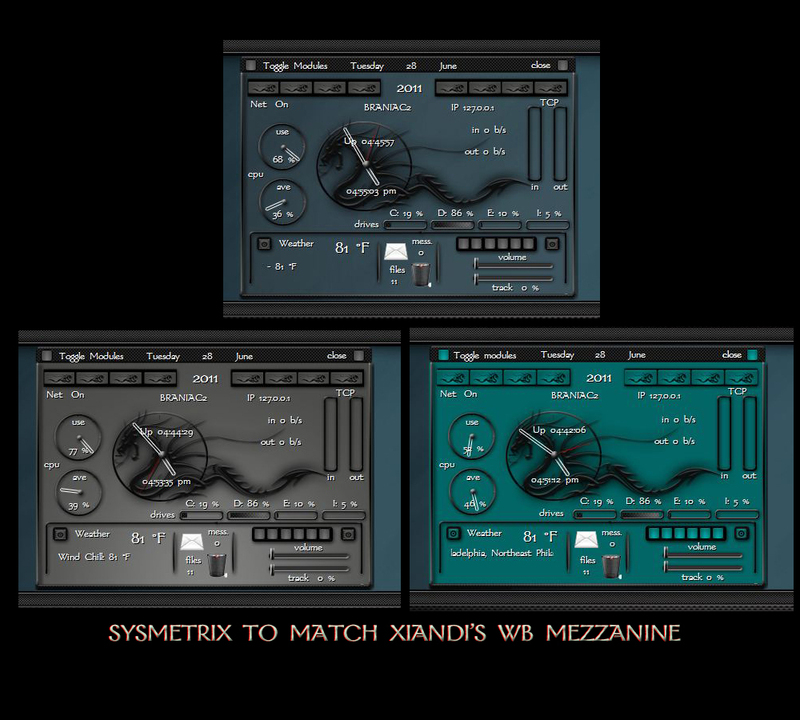 I made it to match Xiandi's Mezzanine Link WB. There are two styles. One gray one Teal. Both have toggles for a clear version. Thanks loads to Xiandi for letting me play with her graphics. Permission is in the folders. Thanks for the effort. I still use Sysmetrix.